Before forwarding, we have to understand some terms. We do not have pages in a React app. It does only contain components. The react components are small reusable pieces of code which return a react element. That is, when we click a link inside a react app, it can do a function in the background and return a view to a specific section of the same page we are seeing. I already said that a React app only contains components instead of pages. So, some components may need to store some values/variables. so states are used to store these variables which are specific for a component. When a component is mounted, the states associated with the component also load. So we can access the values stored in that state. Now coming to Props, There may have two or more components in a React app. So if we need to pass a value/state from one component to another, props are used. 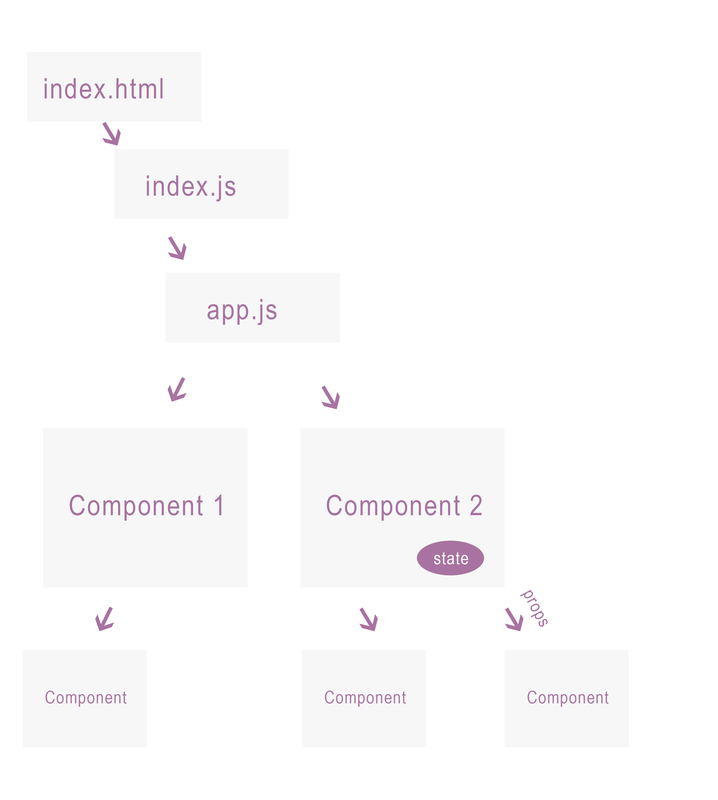 Below, we can see a diagram showing the flow of a React application. It follows a Tree structure. index.html is the root file here. From there, it goes to an index.js file and to App.js. The components are defined under the App.js usually. So Component 1 and Component 2 are under App.js and Component 2 contains State. The Components under the Component 2 get the state values by the props. Now we can start the Counter app. After successful installation of Nodejs and npm, install react using the below command. 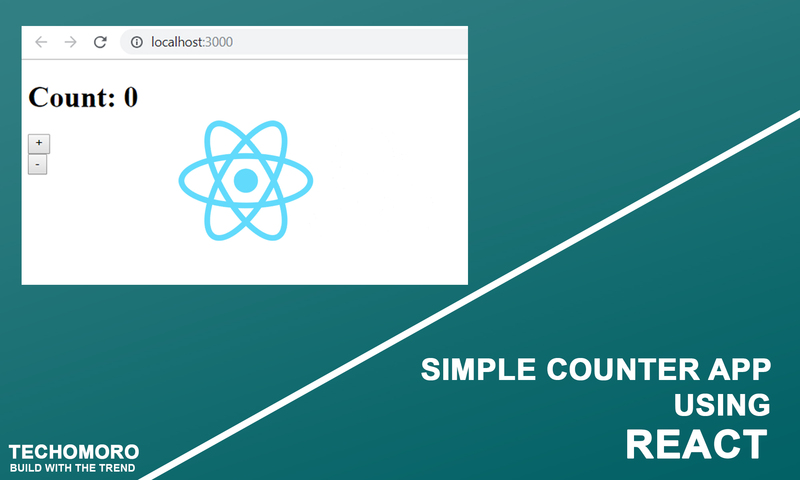 If you need further assistance on the installation of React on your system, use the below links. We need two buttons for the view. An increment(+) button and a Decrement button(-). As we are on React, we can create a Button.js file inside an src/components directory which is a reusable Button component. Here we are getting the values from the main component(App.js) as props. There are title, and task props were, title is a state in App.js and task is a function defined in App.js. Create a class App in App.js. Import Button component we created earlier. Now declare a constructor and initialize a state named count. We need to define two functions named incrementCounter and decrementCounter, which is used to increment and decrement the state count. Now at last, we need to return a view. The view to be rendered is defined inside render() function. The code inside return is showed in the screen. Inside return, we added the Button components and the state count. When we press the + and – buttons, the functions incrementCounter and decrementCounter is executed and the state values will be changed. That’s a counter. So the complete App.js file looks like the below.